To order, please contact our Treasurer at treasurer@alamodescendants.org and indicate the NUMBER OF PRINTS you want and the ADDRESS to which you want the prints sent. You will be be given an address to mail your check to. Checks should be made payable to Alamo Defenders Descendants Association. 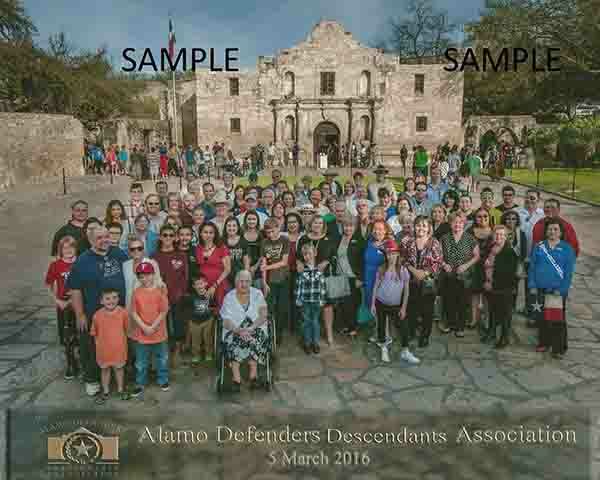 If you would like a group photo from a previous year (if available) or have additional questions, please contact our Treasurer at treasurer@alamodescendants.org.